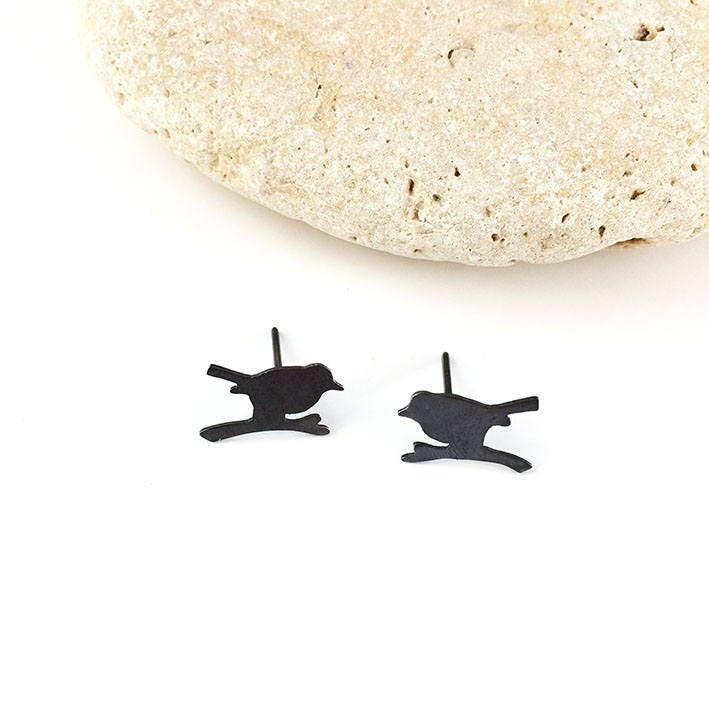 Silhouettes of birds from the collection "From The Heart". 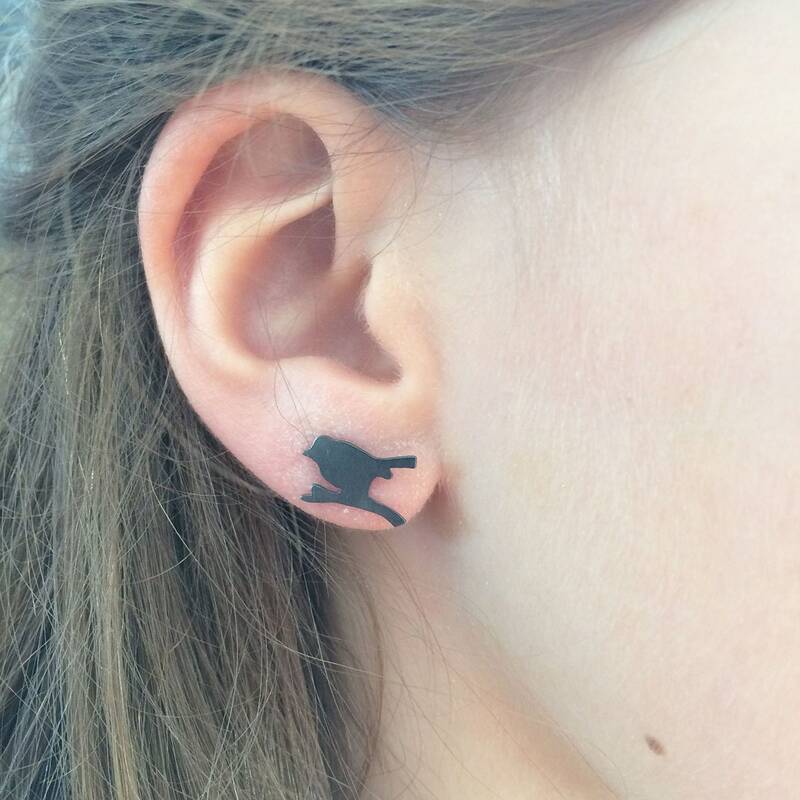 Very stylish to wear on a daily basis. 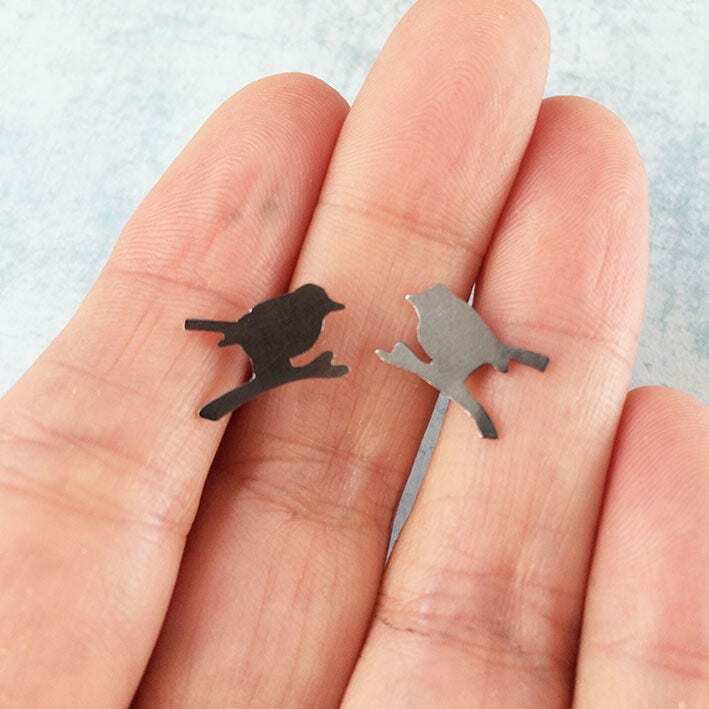 For you who love nature. 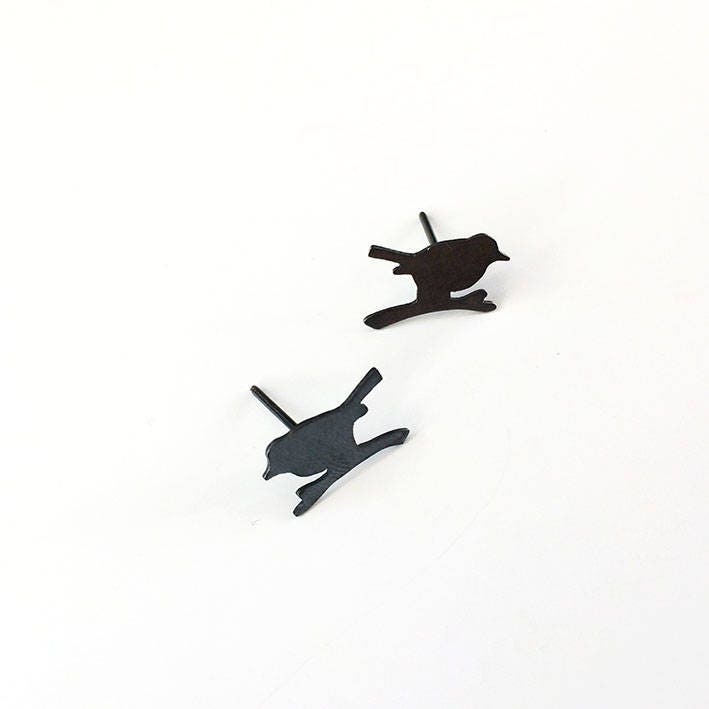 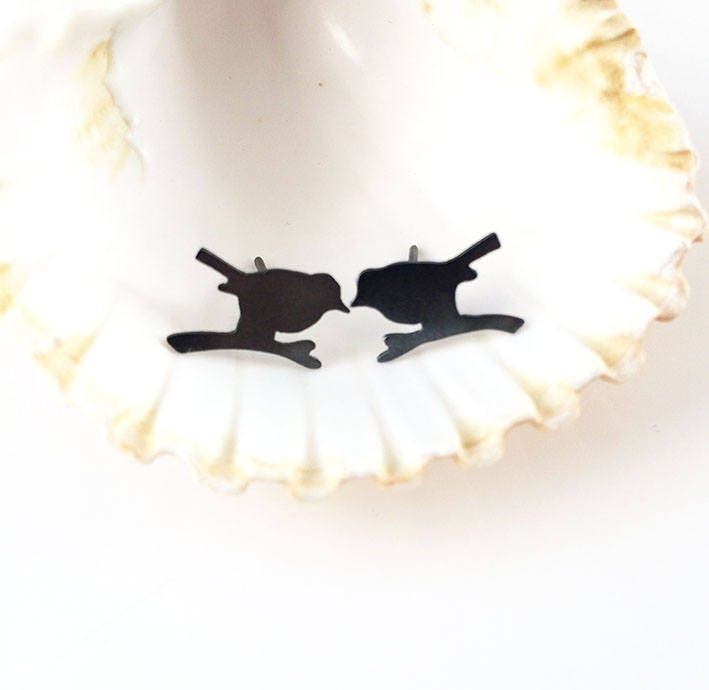 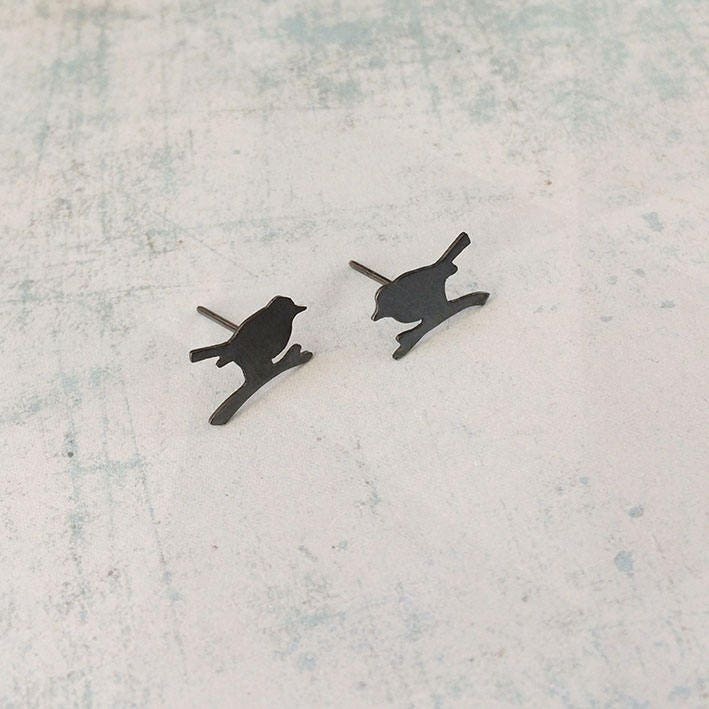 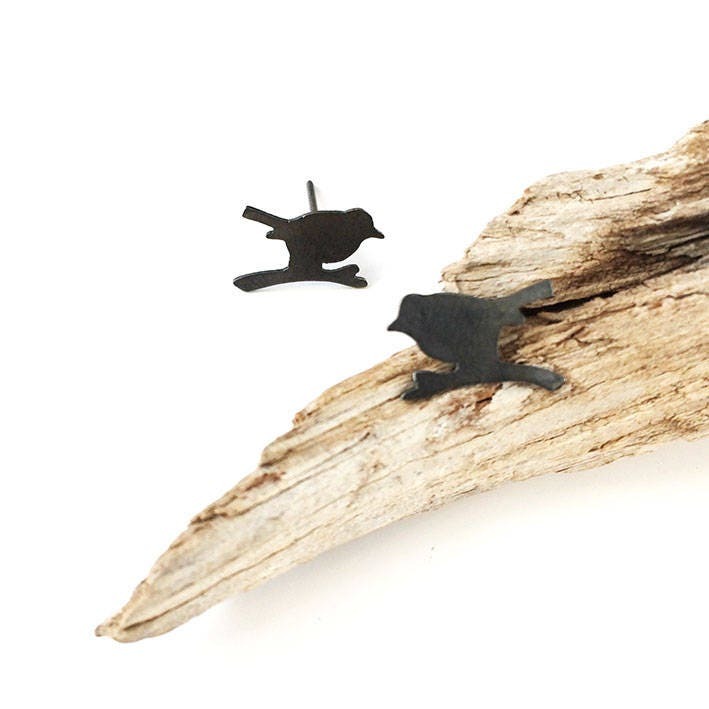 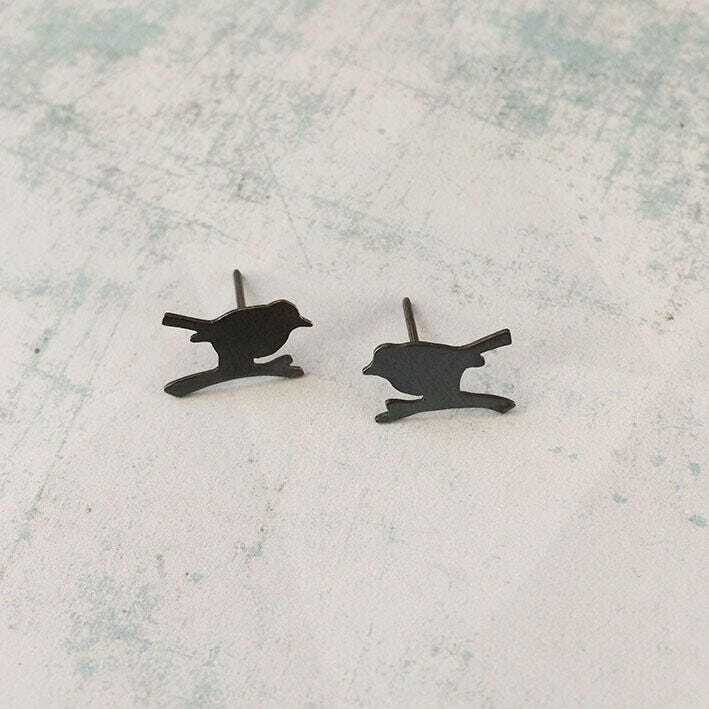 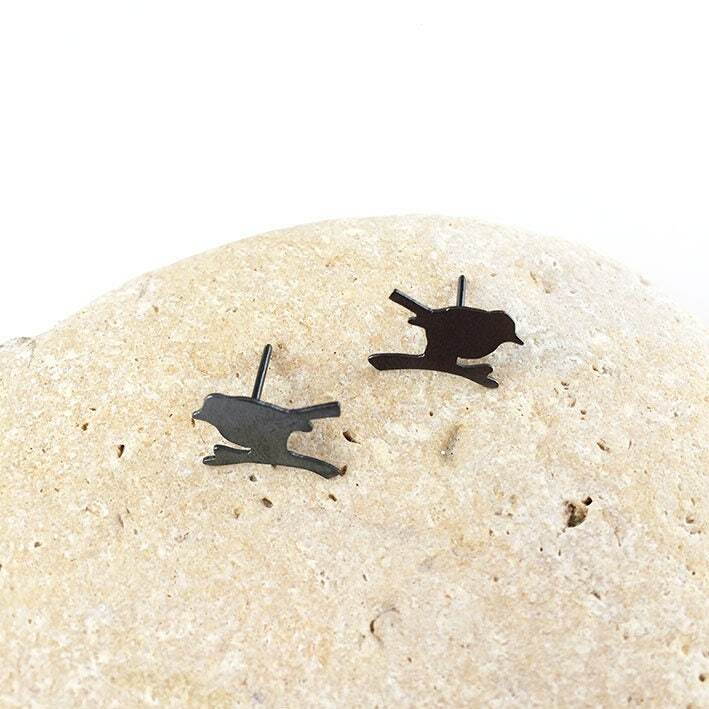 Sterling silver stud earrings shaped like little birds on the branch.